We require an interview prior to application. While most people go to the IGS classes to improve their ground fighting abilities for tournaments – for self-defense purposes this type of grappling could be enhanced with the use of pinching and biting pressure points while utilizing elbows, knees and head-butts to weaken your opponent so leverage can be achieved that much easier. This is influenced by the South East Asian grappling methods that Ron Kosakowski has been training in for many years. This particular range is very important to understand if you end up on the ground with a strong opponent. Size and strength is irrelevant due to the methods of training that develops proper technique and as long as it is constantly practiced. A useful and functional combination of grappling martial arts for Law Enforcement, bodyguards and correctional officers, bouncers, etc. The blending of these grappling styles a person to be able to take any extreme necessary for controlling an out of hand opponent with minimal harm if any at all to his or herself. See Ron Kosakowski bio to see where the experience well over many years of learning and training of many grappling systems came from. Ron was the first to bring Brazilian Jiu Jitsu and other grappling styles to Connecticut. If you want to do a grappling or a no-holds-barred tournament, this class is real good for the development of ground skills for positions to submission or striking along with being able to escaping a wrestling situation. Moreover, it works fantastic for actual self-defense if you happen to end up on the ground during a confrontation. The ground is the last place you would want to be in an actual street confrontation. 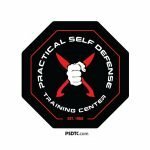 By understanding all the different grappling methods taught at the PSDTC, you will definitely have a better perception of self-defense. For a one-on-one situation that you would like to control without actually having to do your opponent or your self any harm if possible. This is good knowledge to have if you just want to control and hold down an aggressive person for whatever reason. If you are doing a Mixed Martial Art (MMA) tournament fighting, grappling knowledge is a definite must have. That has been well proven over the years in No Holds Barred matches (now called MMA fighting., Weakness in grappling range has been recognized by many martial artists now a days and many learned the hard way. For the Integrated Grappling Systems class, everyone starts off in different ways, depending on the predetermined lesson plan that day. Ab work is always done, actually by popular demand, especially in that particular class. Many different ab exercises that are related to various submissions drills that are done to ensure tightness with each technique initiated. Positioning is usually gone over in detail depending on the level of people training at the time. Higher levels develop riding skills from position to position by regularly wrestling as a result of just flowing with each other. Submission drills are also performed in large amounts, which not only develops very good submission skills, but also is a great cardio and endurance exercise with good strong technique. Isolation wrestling by trying to escape each position while your partner is trying to hold you in position is another great way to develop a strong ride and a firm understanding of position as well as the sensitivity to feel the openings for escape or move to another position. The understanding of where and when to bite or pinch with eye gouging if ever needed for clench range street oriented self defense purposes. The use of different types of strikes in different grappling positions that cause real damage when used properly with skill (real good for Mixed Martial Arts or MMA training). How to defend strikes in the clench for both, stand up clench or on the ground (also very useful for MMA training and certainly, self defense purposes). Fight training for mixed martial arts (MMA), Jeet Kune Do/Grappling/Muay Thai.